For M4 / M16 series AEGs. Approx 26mm wide x 48mm long. The fitting holes are approx 3mm in diameter with 38.5mm from centre to centre. All steel construction with black anodised finish. 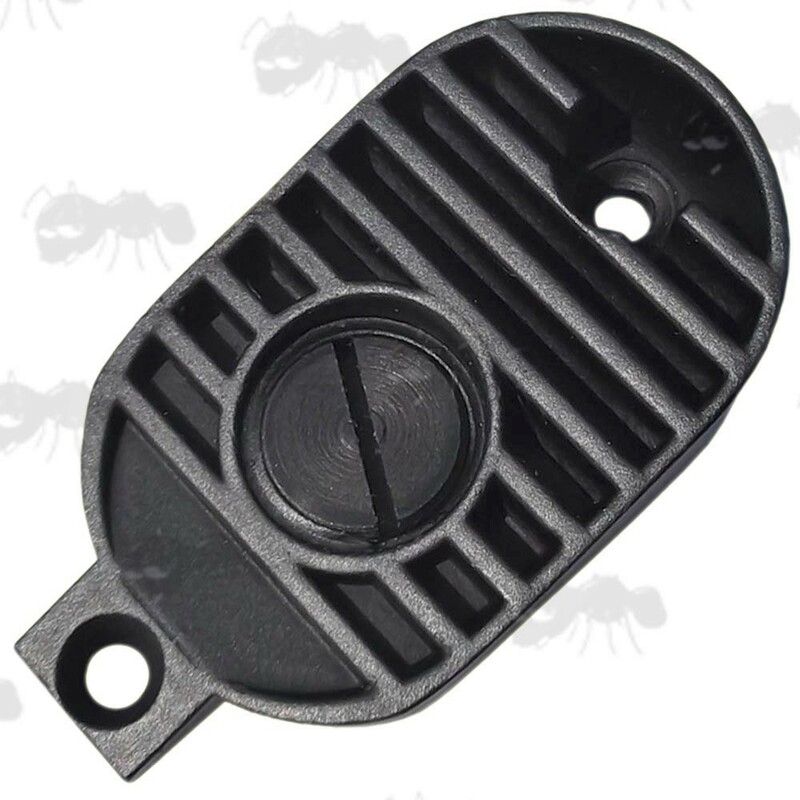 Baseplate with motor height grub screw. 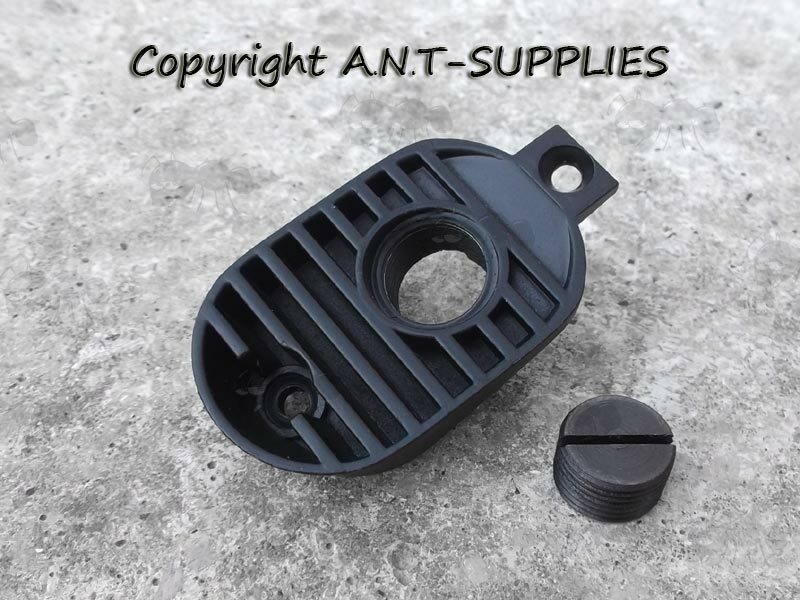 Upgrade for your standard base plate, stronger and faster cooling design with easier adjustment. If you see this message, it means that your browser doesn't support iframes or they are disabled. You can access the information shown in this frame here: Airsoft Product Scroller.